On November 4th the Toronto Dingos held their annual Awards night held at midtown sponsor Scallwags. The evening was buzzing with anticipation on who would win what after an interesting season of football which saw all lot of exciting rookies take to the field. With the casual dress code being somewhat adhered to the night began with awarding the Goal Kicker award to the irrepressible Rob 'Noddy' McNaughton who cleaned up this season for a second year in a row with 24 goals, having led the team up front all year. Next up was the Steinberg award, which is awarded to the team member who contributed the most to the club, went to Stephen 'Gordo' Gordon who stood out this year for all his hard work behind the scenes on game day, his valuable effort on the executive and managing the Dingos social media. Irish man Eoghan 'Ice' Bergin made a huge impression in his second year at the club, winning the Most Improved award for his tireless efforts on the field and exemplifying how a dedication to training and improvement can manifest in your game. The Players Player award is a peer based award measured on the direct votes from fellow players. This year team spirit animal Steven Speers took home the honour, and his first from the club, to massive applause from the team. The Pewter is a new award created by club co-founder Paul 'Tinks' Tinkler. The award was issued to the best on ground after each game and the player with the most game awards was given the all round honours. In its inaugural year Mike Ladd took home the prize or should we call this the 'Tinkler'? After much festivities the most important award was to come. The Best and Fairest (B&F) award is given to the player who has collected the most game votes for performance per game. The award and voting is split by Australian and Canadian players. This year it was a story of two vice captains, the Australian B&F award went to vice captain Steven Speers for his excellent season as one of our most creative players on the field. 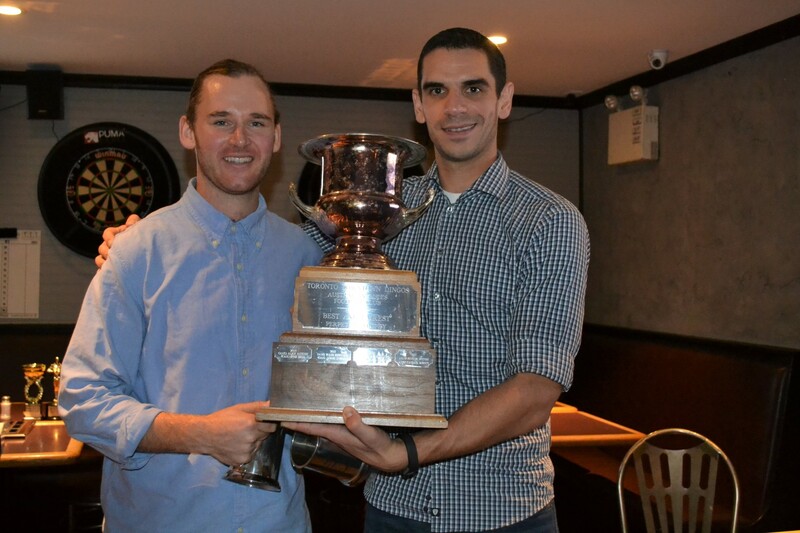 The Canadian B&F award went to co-vice captain Patrick Bossy who's unrelenting work ethic and tenacity made him one of the leagues best shut down players this year. The club also recognized milestones hit during the year, with Paul Tinkler hitting an impressive 200 games, and Stephen Gordon hitting the 50 game mark. The awards night draws a line under the 2017 season, which while it didn't go the way the Dingos would have liked on the field wraps up with plenty to look forward to next year and a great core group of players to build around.